A babymoon is the perfect opportunity to savor the last days of “just the two of us” Whether you’re looking for a city adventure or a relaxing retreat, we’ve got your baby bump style covered. Keep scrolling to see 3 perfect looks to take with you on your celebratory trip! The ultimate downtime is sitting by a quiet lake reading a page-turner. Claim your adirondack chair for the day and soak in a little sun with a cozy pair of linen shorts (with a belly band!) for comfort and style. 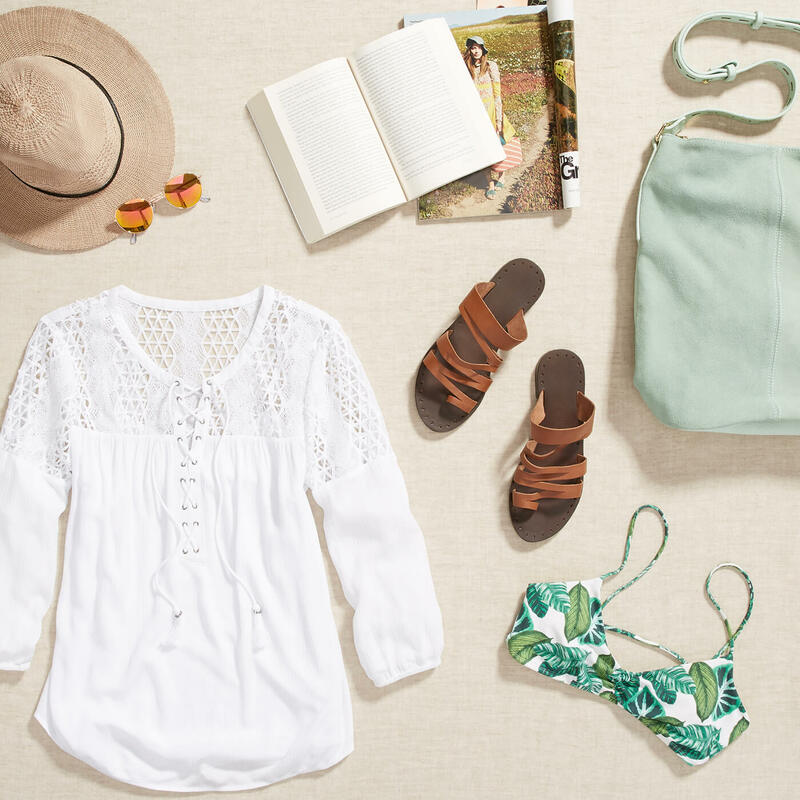 A white tunic top in a breathable fabric keeps you cool while brown sandals and a floral bralette swimsuit rounds out your vacation ensemble. Stylist Tip: Be sure to protect your skin with a wide-brim hat and store all your reading essentials in a versatile chambray satchel. If you are getting your dose of city culture before the little one arrives, keep things simple by packing in a neutral color palette with a pop of color. Dark wash maternity jeans paired with a colorful ruched top and dainty accessories can smoothly transition you from the museum to dinner. Stylist Tip: Always have a maxi dress on hand. They’re the perfect piece that you can wear now and later. Sun, surf and sand is all you need for a little R&R before those sleepless nights ahead. 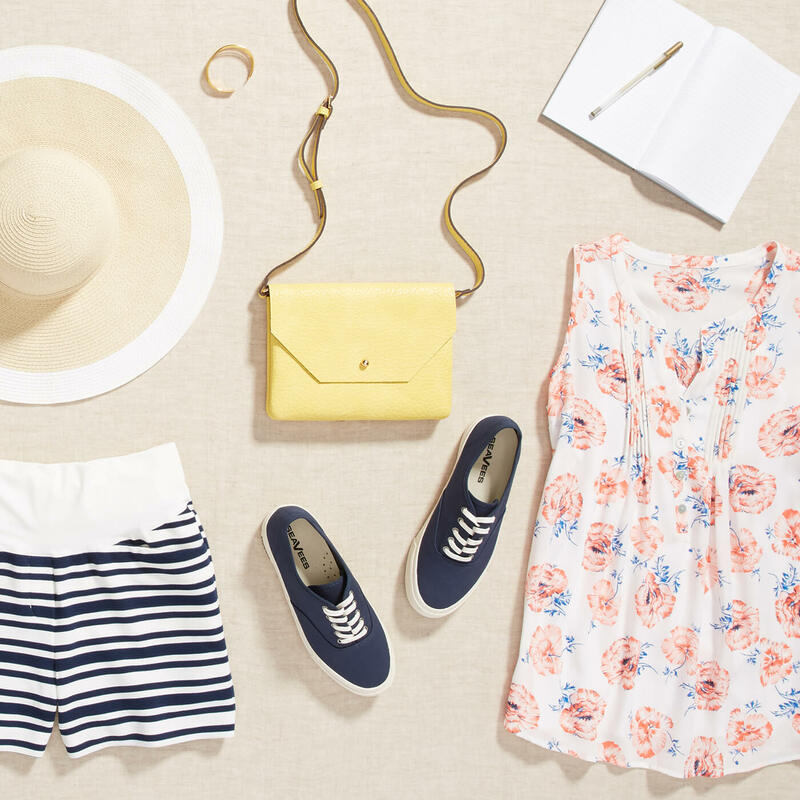 Mix prints like a pro with striped shorts and a floral sleeveless blouse perfect for lounging for lunch oceanside. Stylist Tip: A comfy, casual sneaker will give you comfort and support while a crossbody bag keeps your essentials at your fingertips. Ready to recharge in style? 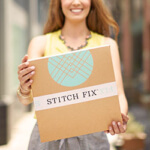 Schedule your Fix today and let your stylist know where you are headed before your bundle of joy arrives.